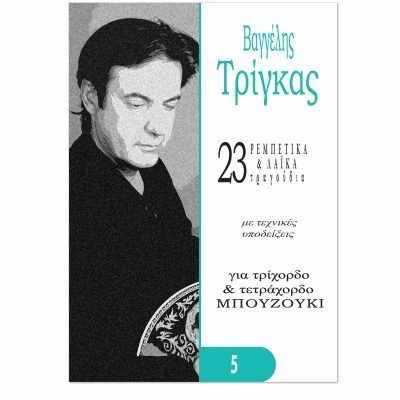 This book series can be divided in four categories: “Rembetika and folk songs”, “Old folk songs”, “Artistic folk and folk songs”, “Archodorembetika songs”. Each book of the series includes songs from various artists. 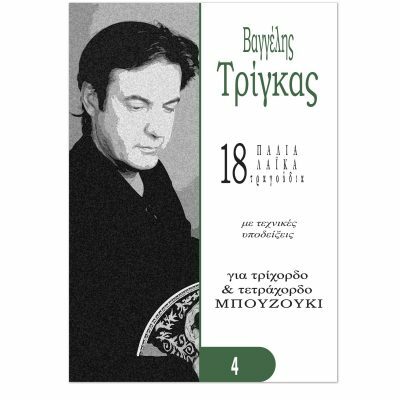 In this way a large number of composers and their work that belong to different kinds of Greek folk music and not only Rembetiko and old folk song are presented. The songs are written down exactly as they were performed in the original recordings with every necessary ornament in order to be performed by bouzouki. There are also technical instructions to facilitate students. The above three characteristics differentiate the work of Vangelis Trigas regarding all the music sheets and books written by him. Like all previous books, these collections are valuable tools for students and Bouzouki tutors.